Researchers at the University of Puerto Rico in Mayagüez have been monitoring an already creeping landslide to detect any early indications of an impending larger movement. The area started creeping in 2007, and the group has been monitoring it since 2008. They are particularly concerned about the possibility of the entire area sliding at once during heavy rainfall, which would block the one road in and out of town, cutting off transportation, water, and power supplies to the community. 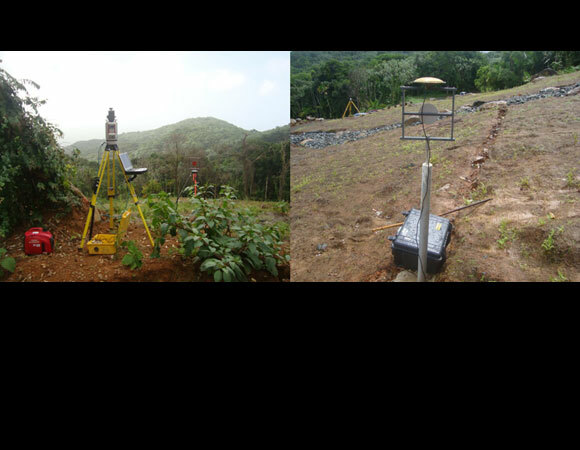 Campaign GPS measurements were made every two weeks from 2008-2009, and two permanent GPS units and a rain gauge were installed before the rainy season in 2009. Permanent stations make a measurement every 15 seconds, and then these are averaged into a daily location. Campaign measurements only show the total movement that occurred between measurement times, and therefore do not provide the level of detail that permanent stations do. The permanent stations allow the group to see both hourly and daily movements throughout the creeping landslide. In 2008, a 50 centimeter rainfall over four days resulted in a one meter horizontal and half meter vertical movement of the landslide. A similar event occurred in November, 2009, when a prolonged rainfall caused the creeping of the landslide to accelerate. 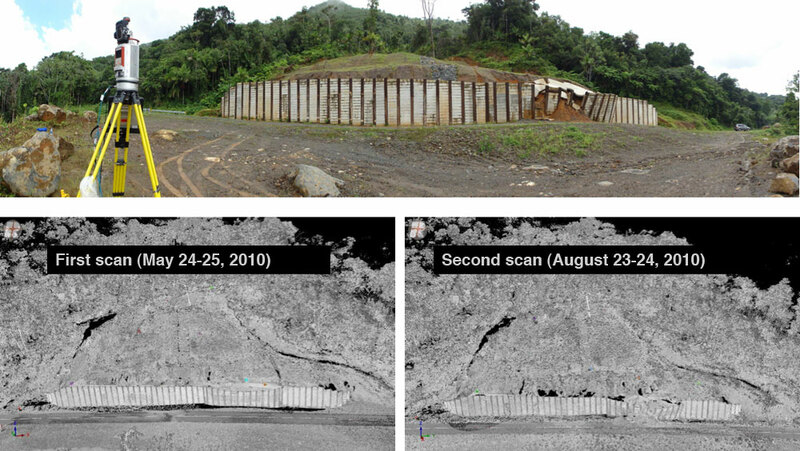 The GPS network results show the landslide continuously creeping, and then accelerated surges during heavy precipitation. The researchers think that the entire area will slide during a future heavy rainfall, and recommend real-time GPS monitoring of the site as a safety measure for people who live in the region. 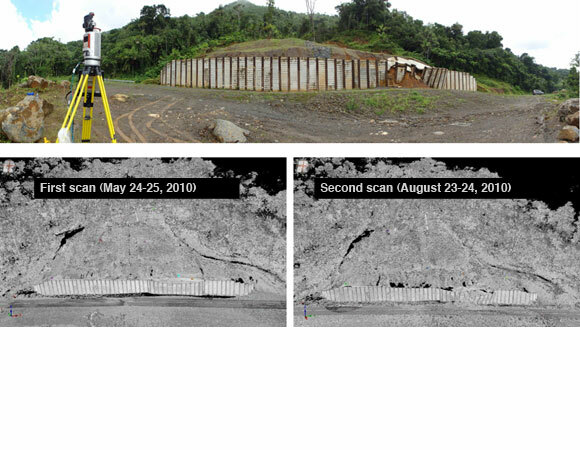 Wang G., Joyce, J., Phillips, D., Shrestha, R., and Carter, W., 2013: Delineating and defining the boundaries of an active landslide in the rainforest of Puerto Rico using a combination of airborne and terrestrial LIDAR data. Landslides.